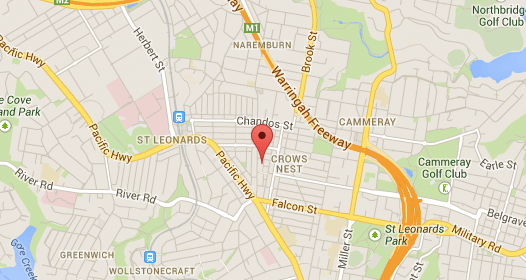 Suite 1.08; 3 – 9 Gillies St, Wollstonecraft NSW 2065. Wednesday and Thursday afternoon. Parking available on hospital grounds. Entry is via Rocklands Road Crows Nest. Parking is $7.00 per hour. Parking is free parking is available inside the centre. Parking is available at the hospital. Click here for instructions. Public patients should contact the hospital on (02) 9463 1400. Upon arrival at the hospital, patients should check in at Clinic 5, Desk D.
Note: Although private patients may see Professor Walter for appointments at his private rooms at Royal North Shore Hospital, all private surgery is done at the Mater Hospital in Crows Nest. For all Private Patient Appointments, call (02) 8920 3388. 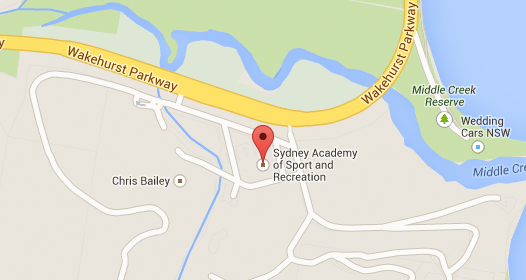 Consulting Locations at Northern Beaches and Sydney’s North Shore. All patients must have a referral to see Professor Bill Walter. If you have already been to see us, your previous referral may cover your visit. A referral from a GP is valid for 12 months and a referral from a specialist is valid for 3 months. If you are unsure whether you need a referral, please ask when you make the appointment whether your referral is valid. Please also bring any relevant x-rays or scans with you. Please always bring your Medicare card and Private Health Fund card with you. Payment is due at the time of consultation. When you make your appointment, the secretary will let you know what the consultation fee will be. We do our best to allow the necessary amount of time for each patient appointment and we aim to keep to time. Very occasionally, Professor Bill Walter may be held up due to delay in morning surgeries, and sometimes a patient before you can take longer than expected to be seen. In this event, we try to contact patients to advise of possible appointment delays. Patients are most welcome to call a couple of hours before their appointment to check their appointment will occur at the scheduled time. At this appointment, you will be seen by Professor Walter’s assistant surgeon and specialist nurse consultant. Please bring ALL your x-rays, including your six-week post-op x-rays. You do not need a new referral if you are coming for your six-week post-operative check-up. There is no charge for this appointment. Six months after hip or knee replacement surgery, you will again be seen by Professor Walter’s assistant surgeon and specialist nurse consultant. Professor Walter will ask you to come back for a follow-up appointment at 2 years, 5 years and every five years after that. You will need a new referral from your GP and may be asked to bring a new set of x-rays to the appointment. It is important you come back for these check-up appointments, even if you are perfectly happy with your implant. After a hip or knee arthroscopy surgery, Professor Walter will usually ask you to come back 10 – 14 days after surgery so that sutures can be removed and the wound can be checked. You will need to come back 3 months after your surgery. Further, follow up appointments may be advised after that. Appointment information for public patients. Patients who do not have private health cover can be seen at the Orthopaedic Outpatient Clinic at Royal North Shore Hospital. You will need to bring a referral, your Medicare card and any x-rays if you have them. All public patient appointments and surgery arrangements must be made directly with the hospital on (02) 9463 1400.